The master landscape design process starts with a detailed discussion with the client and a professional assessment of the site. A completed master landscape design provides a comprehensive graphical layout - to scale - of recommended plant material, circulation routes, and hardgoods. The hand-drawn design also includes a full depiction of existing structures, trees, and shrubs. 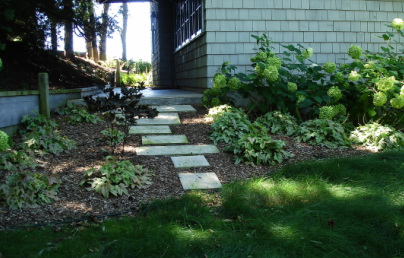 The ideal time to start thinking about your landscape design needs is right from the beginning of construction. 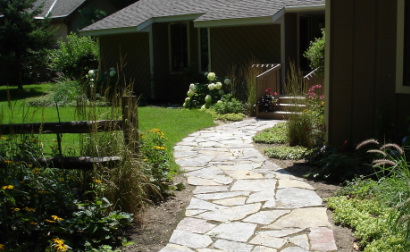 The client, builder, and landscape designer are then able to work together to plan for locations of underground utilities, grading, retaining walls, water runoff, driveways, parking, walks, patios, and other features. - Trees, shrubs, perennials, ground covers, etc. - Drives, walks, patios, decks, seating areas, retaining walls and water features, etc. - A complete list of recommended plants, hardgoods, and quantities needed. 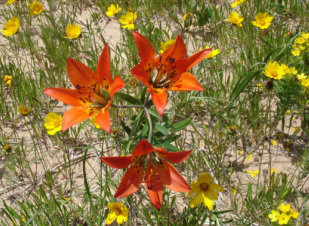 - An emphasis on hardy and beautiful Michigan native plants, if desired. - Small design for areas not needing detailed information. - One-time visit for 2-4 hours. - Contractor lists, bid packages, and bid tabulations. - Communication between client and contractor. - On-site observation and consultation. - Gives presentations in a classroom setting or outside on site. 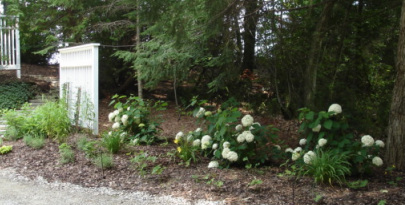 - Examples of topics include; Native Plants, Landscape Designs, Perennials, and Natural Shorelines. 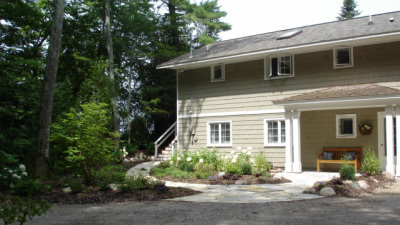 Because each project is different, a site visit is needed to determine the scope of your project and the design fee.